I know technically it’s not the Arctic tundra. I know there are no yaks running around. But Toronto was cccccold today. 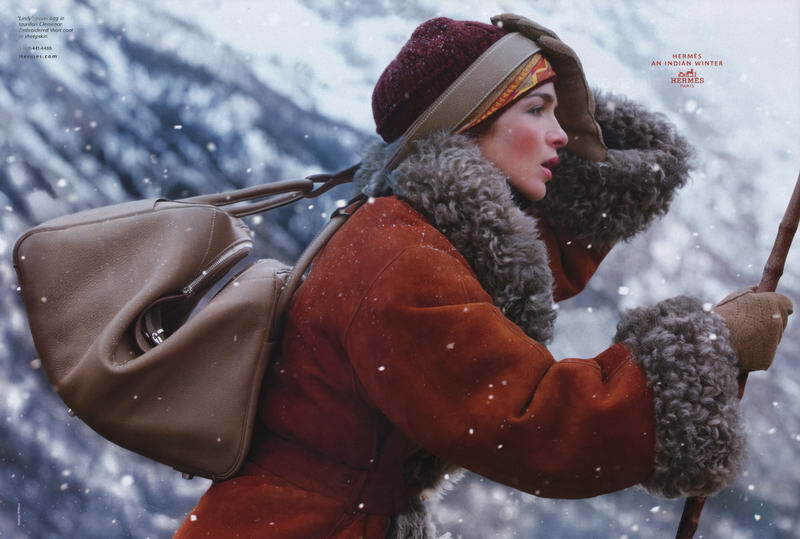 So I found myself dreaming of winter luxessities from Hermès. 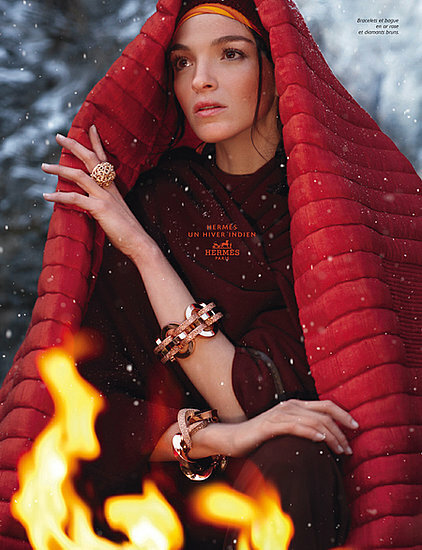 Raquel Zimmerman in Hermès FW 09/10 . That coat appears in my couture dreams. The skirt and Jypsiere bag from the Indian Winter Campaign still make my heart flutter. 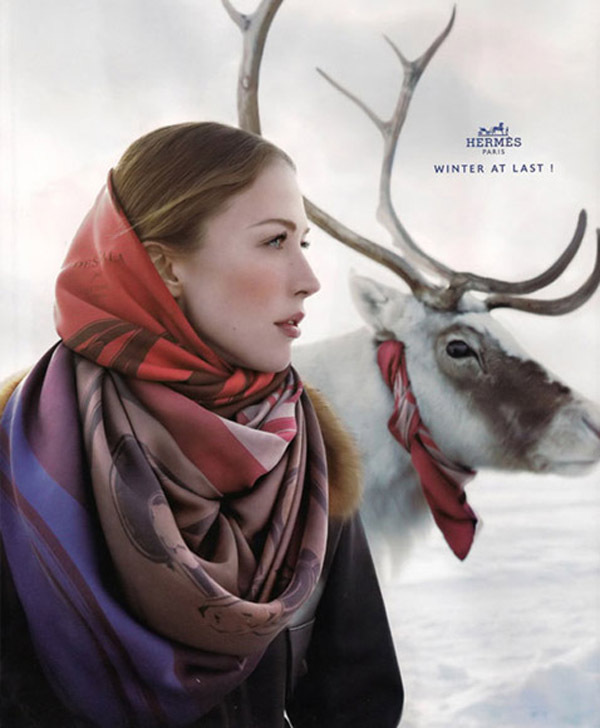 Hermès FW 08/09 Indian Winter Campaign. 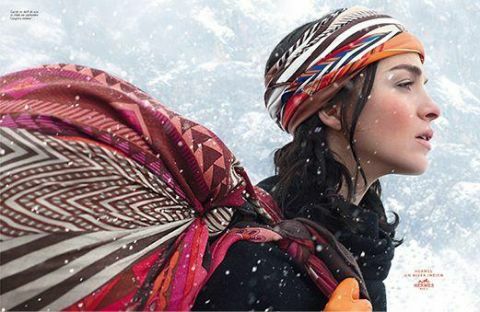 The colours of the Motherland amidst a winter wonderland. Still piling on the pashminas in FW09/10. Message to you, Ru-dy: Bring mama Hermès for 2010! Just looking at these images makes me feel warm and cozy. Images courtesy of fashiontography and luxuo. Yes, free Hermes stuff would put a smile on anyone’s face. 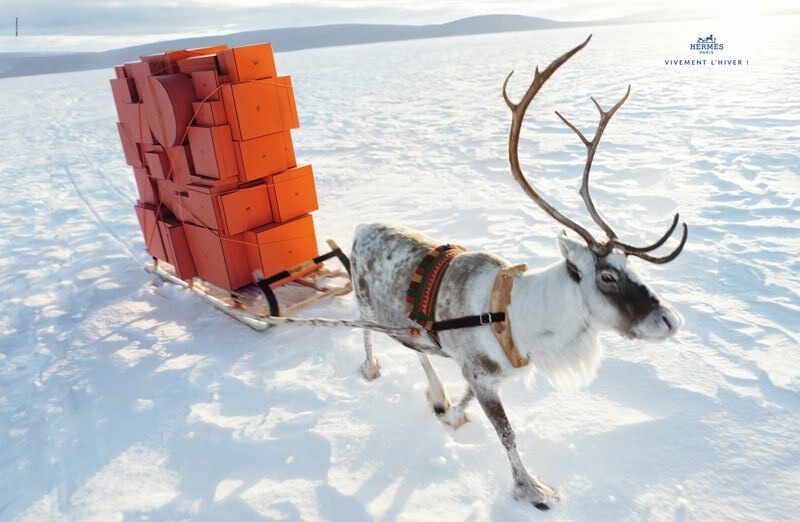 Hermes definitely comes up with some visually great winter campaigns. I wonder what they do to get the model looking so happy in those pictures?